I received a Marc Jacobs Beauty VoxBox from Influenster and had the opportunity to try a new mascara for free. Prior to receiving this mascara, I had never tried any makeup products from Marc Jacobs simply because of the price. There have been products that I’ve wanted to try, but Marc Jacobs Beauty is a pretty pricy brand. Needless to say, I was really excited to try the Velvet Noir Major Volume Mascara! 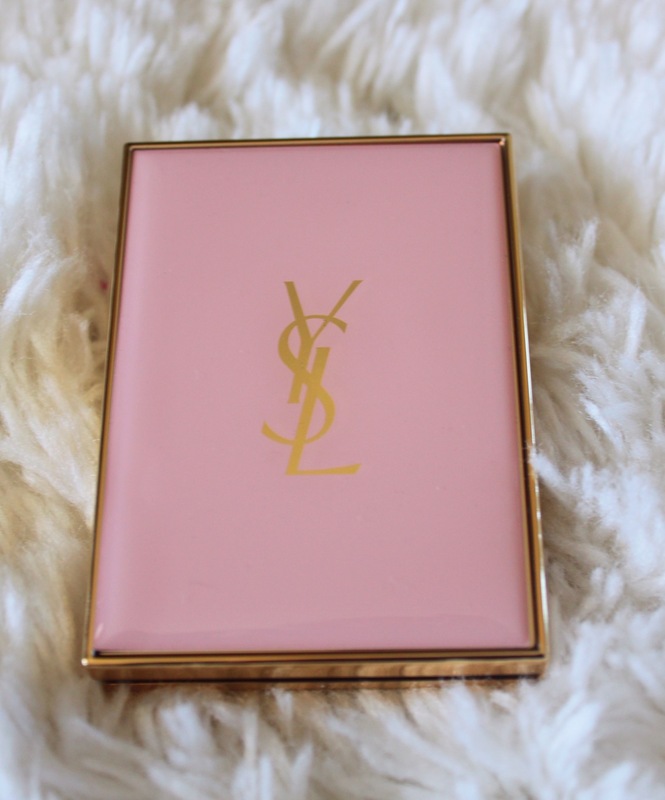 As some of you may know from a previous blog post/video, I had the opportunity to review two new Yves Saint Laurent (YSL) makeup products. If you missed my initial unboxing post/video of these products, you can see it here. I received these products from the Influenster VoxBox. 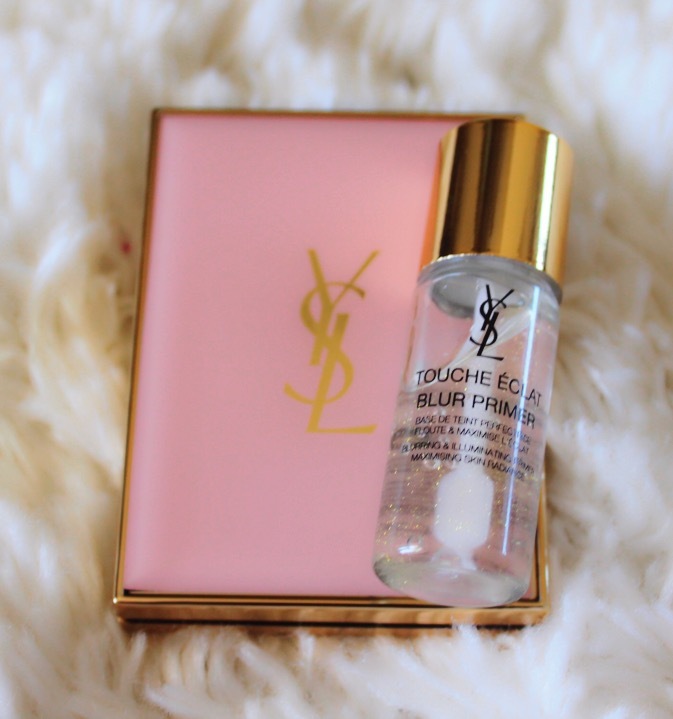 The two products that I will be reviewing today are the Touche Eclat Blur Perfector and the Touche Eclat Blur Primer. The first thing I noticed about this product was the beautiful packaging! I love it and think it looks very elegant with the pink and gold. This product is advertised as going from a balm to a powder. I’ve never used a product like this so I was very excited to try it out! 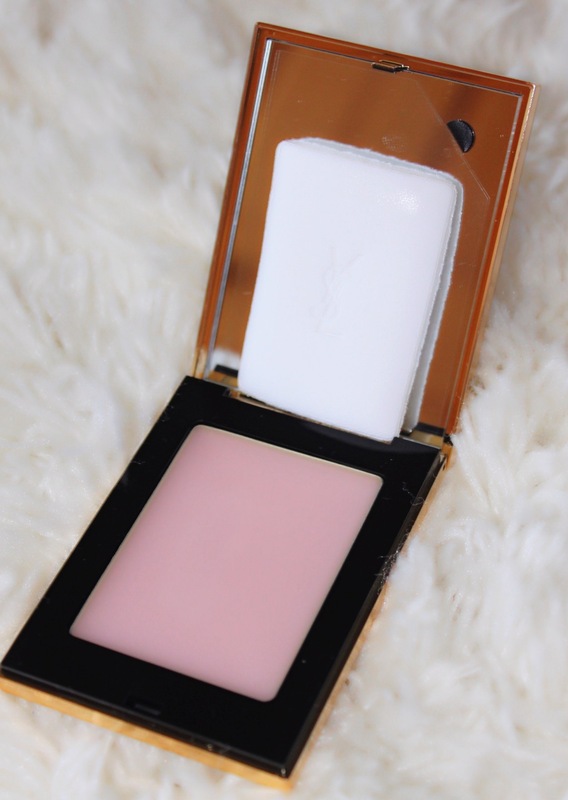 It’s a blur perfector compact that perfects the skin while retaining its luminous glow. This product can be used three ways: alone as an allover complexion perfector, to set makeup, or as a mattifying touch up. I decided to use this product to set my makeup after applying foundation and concealer. I found that the sponge applicator was a bit annoying to use this product. I think it would be easier to apply with a brush. However, I’m not sure how it would work with a brush since it goes from a balm to a powder. After using this product several times, I just thought it was a meh product. I didn’t hate it or love it. I found that my makeup/skin didn’t look any different when using this product than when I didn’t use it. This product is $55, which is an outrageous price in my opinion. I would never spend this amount of money on this sort of product and after reviewing it, I wouldn’t recommend this product to anyone. There are plenty of other products out there that are cheaper and do just as good, if not better of a job than this product. This product is described as an illuminating primer that blurs imperfections and boosts the radiance of foundation. I noticed that this primer has golden shimmer and I was worried how this would look when I applied to my skin. However, it luckily didn’t seem to make a difference and I didn’t notice my face looking shimmery or shiny. 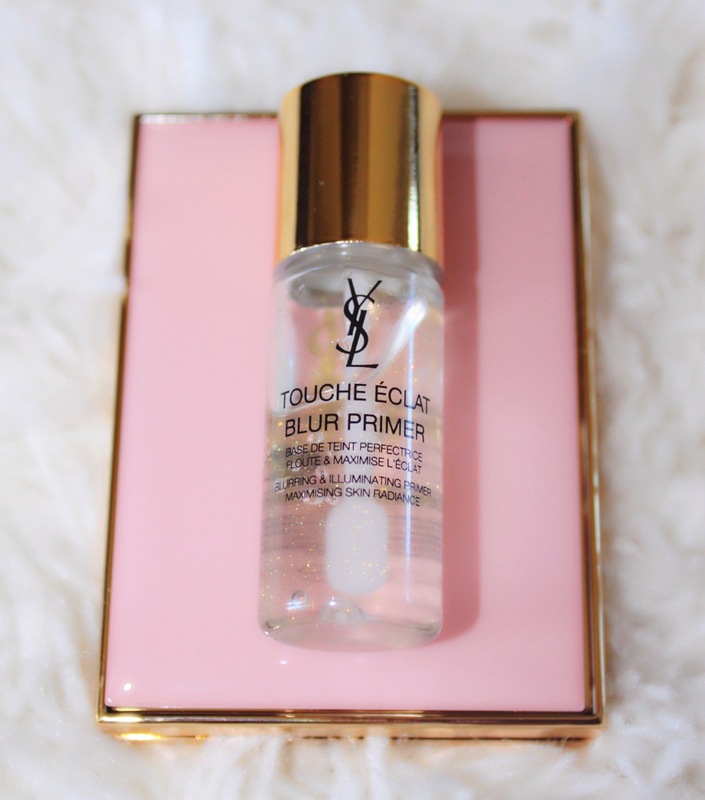 This primer has a thinner, gel-like consistency and feels a bit greasy. I found out the hard way that less is more with this product. The first few times I applied this product, I realized that I applied too much. I noticed throughout the day that my skin was a oilier, especially in my nose area. I then started applying a very little amount and that seemed to do the trick! 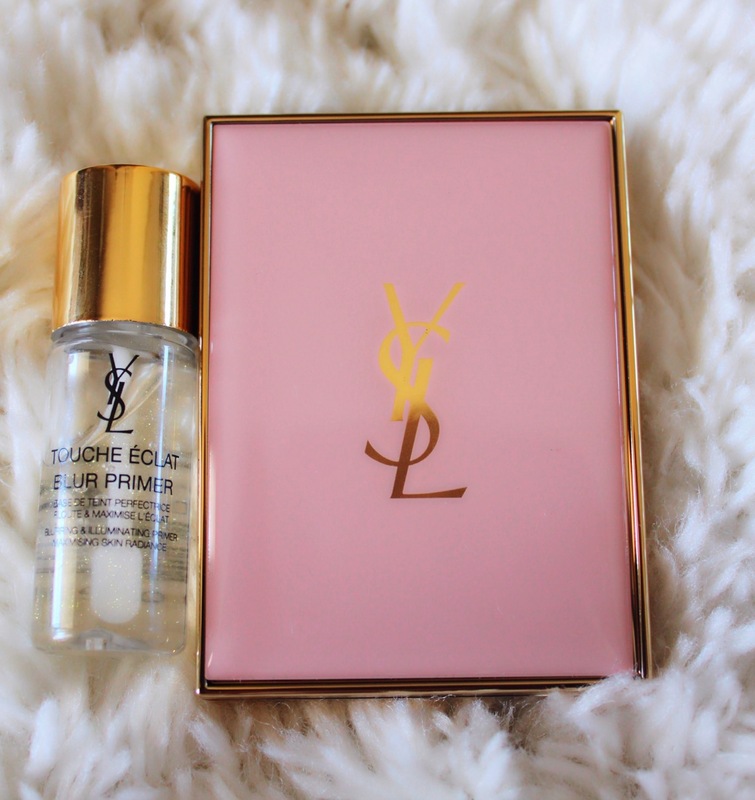 This primer does absorb quickly into the skin, which is always a plus in my book. It also feels light-weight. This product is expensive at well, retailing at $52. Again like the blur perfector, I don’t think this product is worth the price at all. This primer didn’t wow me. It was just okay. I’ve used several other primers that are cheaper that I like much better than this one. I can’t imagine ever spending this amount of money on an everyday product like a primer. Overall, I really wanted to love both of these products because I was excited about both. However, they unfortunately are just so-so products to me that aren’t worth they expensive price tag. Now, i don’t want to completely discourage you from trying these products because I have read good reviews on them on Sephora.com. If you are interested in trying these products, I would definitely recommend trying them out in the store prior to buying them. Let me know if you’ve tried these products or plan on trying them in the comments below! We were lucky enough to team up with Tula and try a few of their skincare products! We were both really excited to try these products because we love trying skincare products and are always looking for products that truly make a good difference in our skin. We each tried one product and you can find our detailed reviews below! Since we got so many products and wanted to really try them out before reviewing them for you, we decided to divide the products between us. We also gave our older sister, Danielle, one product to try and review since we had an odd number of products. Now let’s get into what we think of the products! You have until 11:59 pm on Friday February 13th to enter to win a pair of Talaria Flats! Happy Monday! We hope your last week of January is off to a great start! We still can’t believe that it’s going to be February 1st on Sunday already. Where did this month go?! We’re okay with January going so fast though because it usually seems like it’s the longest month of the year. Back in December we reviewed the Lee Stafford Hair Growth Treatment that we absolutely love. Lee Stafford then gave us the wonderful opportunity to review one of their brand new products before it’s even available at Ulta! We are so excited to share our review with you because we were able to try another Lee Stafford product and it’s a dry shampoo, which is even better (we love dry shampoo)! Watch our video below to see what we think of this product, when it’s available, and all the other details! Let us know if you plan on buying this product when it’s available at Ulta! We would love to know what you think of it if you do buy it! If you have any other Lee Stafford recommendations for us to try or would like us to review a product, leave us a comment below!